Buffalo car accidents happen for many reasons. Distracted driving, impaired driving, speeding, and many other unsafe driving habits can increase the chances of causing a car accident. Buffalo’s infamous winter weather can linger well into April and also increase the likelihood of being injured in a car accident. By understanding the common causes of auto accidents and addressing one’s own driving habits, vehicle operators can help keep the roads of Buffalo safe for everyone. CTV News offers tips for safe driving. One driving instructor reminded drivers to go back to the basic skills that prepared them for their test. Use signals on every turn, make a full and complete stop at every stop sign, turn into the nearest lane of traffic, and follow other basic rules of the road. 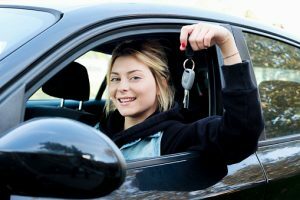 Many drivers have spent decades since their driving tests developing bad habits. Make an honest assessment of your driving skills and identify any areas which have become sloppy over years. The driving instructor also discouraged drivers from practicing “target fixation” – a visual technique in which the driver focuses solely on the road ahead. The safer practice is to scan all areas around your vehicle in order to ascertain traffic conditions on all sides. Perform regular checks of your vehicle’s rear-view and side mirrors. This is a technique borrowed from pilots, who must regularly inspect many different instruments. Monitor traffic and road hazards in the nearby roadway – even those which are not directly in your path of travel. This can help drivers plan an “exit route” in the event of a sudden obstruction in the roadway. Many drivers do not leave adequate space between their vehicles and vehicles in front of them (an average of only .8 seconds). While two car lengths may be sufficient while driving in fair weather conditions, ice and snow can cause a vehicle to require a greater stopping distance. A safer rule to follow is four seconds of space between your vehicle and the one in front of you. This can be measured by allowing the vehicle ahead of yours to pass a fixed point (such as a building or sign), then timing how long it takes your vehicle to reach the same point. If the time was less than four seconds, slow down and create more space between your vehicle and those ahead of you. Buffalo’s cold climate often causes hazardous driving conditions (such as rain, hail, sleet, snow, and ice). Slow down and exercise particular caution in these circumstances. Finally, drivers should be careful not to rely too heavily upon vehicle safety features, which can lull them into a false sense of security. Anti-lock brakes will not shorten the distance required for the vehicle to stop. Backup cameras cannot see all obstructions. Lane drift alerts may not be activated in time to avoid a collision. Drivers must not become so reliant on such features that they fail to exercise basic caution. When drivers fail to act in a safe manner, innocent victims can be injured as a result. The legal advocacy a car accident attorney provides can help encourage Buffalo road users to become safer drivers. Filing personal injury claims with a negligent driver’s insurance company not only helps injury victims access the compensation to which the law entitles them, but also holds drivers accountable for dangerous behavior.